Atascosa County resident Julie Hilberg — a naturalized citizen whose registration was flagged by the state — is joining a lawsuit against top Texas officials. Signing on to a lawsuit filed by the League of United Latin American Citizens, Atascosa County resident Julie Hilberg alleged Friday that Texas Secretary of State David Whitley’s move to question the legality of tens of thousands of registered voters in Texas was an unconstitutional, discriminatory burden on the right to vote. The lawsuit seeks to halt the review of the citizenship status of tens of thousands of registered voters whom the secretary of state’s office flagged last week. In an announcement last Friday, the secretary of state’s office said it was sending out the names of approximately 95,000 registered voters who had provided the Department of Public Safety with some form of documentation when they obtained a driver’s license or ID card — such as a green card or work visa — that indicated they were not citizens. 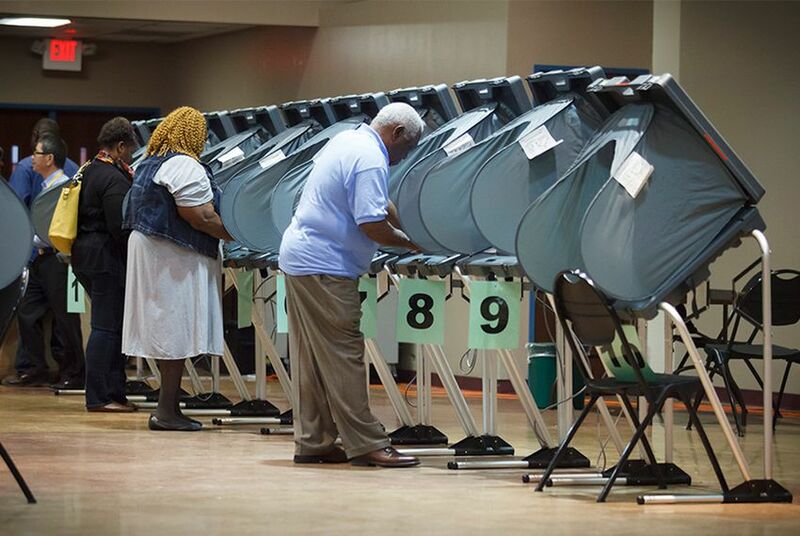 Within days, the secretary of state’s office informed counties that it had mistakenly included legitimate voters who had proved they were citizens when they registered to vote at DPS offices. By Wednesday, the state’s original list had shrunk by more than 20,000 names. It would likely continue to drop, some election officials pointed out, because they had already confirmed the list still included naturalized citizens who didn’t register to vote at DPS offices. The secretary of state’s office and the attorney general’s office did not immediately respond to requests for comment on Hilberg’s lawsuit. The growing list of plaintiffs against the state comes after a week of confusion at local election offices across Texas. Although Gov. Greg Abbott and other state officials are holding firm in their citizenship review efforts, election officials in some of the state’s biggest counties have said they’re cautiously deliberating how to proceed. Meanwhile, civil rights groups and Democratic lawmakers continue to call on the state to rescind its original advisory to local election officials regarding the voters flagged for citizenship checks, pointing to the errors that have already been discovered in the state's data. After learning about the citizenship checks in the news, Hilberg went to the local elections office Thursday to figure out if she was among those voters. Hilberg suspected she would be on the list because she had most recently renewed her driver’s license in 2014 — the year before she took her oath of citizenship at a naturalization ceremony in San Antonio. She registered to vote in Atascosa County in June 2015 and then voted in several elections from 2016-18. When Atascosa County’s election administrator, Janice Ruple, confirmed Hilberg was on the list the county had received from the state, Hilberg assumed any questions about her citizenship status would be resolved in that moment because Ruple knows Hilberg — and her citizenship status — personally, according to the complaint. On Friday, Ruple declined to comment and referred any questions to a county attorney, who could not be reached Friday.